Donald “Don” Bruce Bass, age 82, passed away peacefully on Monday, October 16th, 2018, at the Ponderosa Villa in Crawford. Don was born April 22, 1936, in Crawford to Lloyd and Fern (Young) Bass. Don grew up on a ranch near Squaw Mound and attended grade school there where he rode his horse to school every day. He attended Crawford High School and graduated in 1953. After graduation, he enlisted in the U.S. Army. He was stationed in Fairbanks and Anchorage, Alaska. After being honorably discharged from the Army, he went home to Crawford where he worked construction and for local ranchers. It was during this time he met Reba Hamaker. They were married on February 5th, 1961. They made their home in Crawford where Don went to work for Dawes County district 3 running a road grader for well over twenty years. He then worked at Crow Butte Resources until he retired in 2013. Don had a hard time settling into retirement and went back to work part-time operating a road grader in Sioux County for two summers. 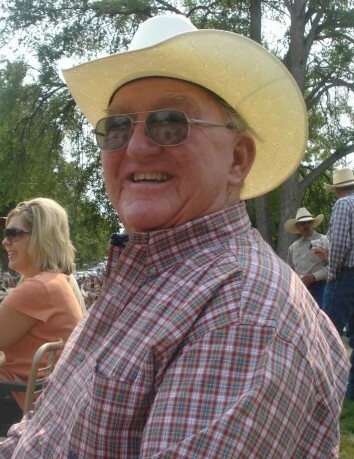 Throughout his entire life, Don also farmed and ranched and was always there to help his sons when they needed it. Don’s pride and joy were his three grandsons, Brayden, Travon and Keagen. He spent countless hours taking them fishing and spending time at the barn with them. Don never missed any of the grandkids’ sporting events or activities. He was always on the sidelines with an encouraging word and ready with a big hug at the end, whether it was a win or a loss. Don is preceded in death by his wife of 52 years, Reba; his parents Lloyd and Fern; sister-in-law Yvonne and in laws, Tom and Doris Hamaker. He is survived by his sons, Brooke (Jody) and grandson Travon and Damon (Tawnya) and grandsons, Brayden and Keagen; brother Dean and sister-in-law Zoleta (Gary) Galey and nieces and nephews. Funeral services will be held at 10:00 a.m. on Saturday, October 20th, 2018 at the Old West Trail Rodeo building in Crawford. Graveside services with military honors will follow at the Crawford Cemetery. Family will greet friends at 7:00 at Chamberlain Chapel, 607 4th Street, Crawford. Memorials have been established for Ponderosa Villa (Bathhouse Project) and Crawford Volunteer Fire Department. These may be sent to Chamberlain Chapel, PO Box 970, Chadron, NE 69337.